The weekend's arrived and it's time to play. What better place to start than in your beauty bag? This month one of my favorite things to do is toss out the old and bring in the new. By that I mean give your beauty arsenal a good going through and toss out anything that no longer serves a purpose or isn't bringing you joy. After all, the time you spend on your makeup routine is meant to be enjoyed and pampering not messy nor stressful. Once you know what must go, you'll easily know what you need. 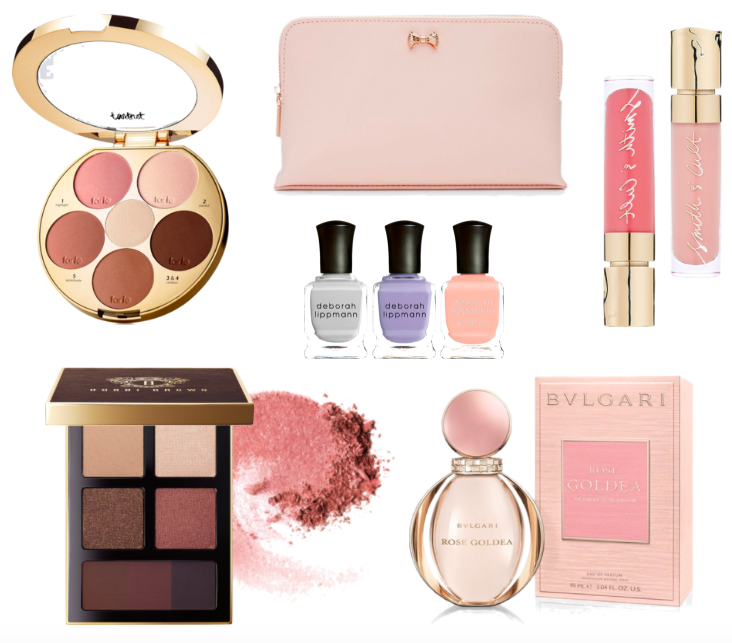 For me I'm certain that all things pink are what my skin adores right now. From pretty blushes to glowing glosses, blushing nudes are the exact right touch for winter skin. This Tarte palette will warm up any cold weather complexion and combines shades for both eyes and cheeks. This YSL lip color looks incredible on everyone and this warm and inviting scent has me wanting to wrap myself up in it day and night. 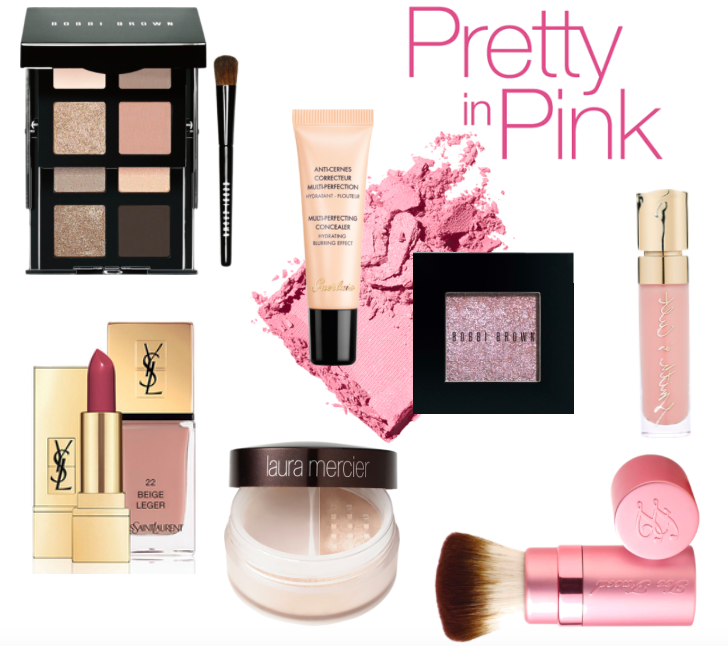 Plenty of other pretty in pink choices are linked below. Find your favorite and treat yourself right....Happy Friday loves!